Please consider donating to CollegePlayoffs.com so that we may bring an end to the (organizers and supporters of the) BCS, or whatever these greedy old men would like to call themselves. Together, we can bring to fruition the most spectacular annual sporting event in the world … a FAIR college football playoff! Because, literally every educated American fan wants a FAIR college football playoff! Your contribution will help us to: spread the word that there absolutely are simplistic and effective solutions for a college football playoff; aid in the abolishment of the deplorable BCS; hold the conference commissioners (which developed the unpardonable BCS) accountable for disrespecting fans and student-athletes alike, as well as the sport as a whole for these many years; and, of course, to promote and implement a fair college football playoff. Your donations to CollegePlayoffs.comwill help us accomplish specific goals: primarily, litigation strategies and miscellaneous operational expenses. Antitrust lawsuits are exceedingly expensive; and additional patent law and other litigation directives can be extremely costly as well. All monetary contributions will go towards not-for-profit oriented goals, as specifically explained above and below. Your contribution today will truly make a difference in bringing about a fair and equitable college football playoff. In 2003, Nicholas Dunbar (eventual author of the 2011 book “The Devil’s Derivatives”) published a very important article in Risk Magazine, entitled: ‘Revealed: Goldman Sachs’ Mega-Deal for Greece’. This article detailed the previously hidden agendas that would eventually lead to the 2008 market collapse – most specifically, this was the largest sovereign deal ever reported; as Goldman sold Greece several giant secret off-balance sheet loans in order to significantly reduce Greece’s overall national debt. We now know that these loans were nothing more than scams just so that individuals could make many millions of dollars by selling inappropriate financial papers. So what was the reaction to this article written by Dunbar? COMPLETE SILENCE. The story was BURIED; and nothing would come of it until AFTER the 2008 collapse. Goldman made off literally like a bandit with 100s of millions of dollars just from one deal alone; then was bailed out with additional billions (if not trillions if you include Federal loans)– all for doing the WRONG thing. Please do not let this type of corrupt environment continue in college athletics and college football. The BCS wants www.CollegePlayoffs.com to be buried. And just like the Dunbar example above, our patent and systems and continual efforts have to date met with the same fate: complete silence … silence … and more silence. Not even a chance to debate perceived reservations. If you want a college football playoff with the highest level of competition, a college football playoff where there is opportunity for every participant (sounds reasonable); that annual sporting event that 99% or more of all concerned fans so much desire, and you don’t mind helping a few people in need along the way; then please reach out to help us – help us do the right thing by supplanting the power of the BCS so that we may implement the most spectacular annual sporting event in the world: the one and only … a fair playoff for college football! Although CollegePlayoffs.comis not a 501c3 (non-profit) organization, this site has been operating as a public service since launching in 2000. We do control an assortment of intellectual property relating to the information on the site; including patents, trademarks, and copyrights. Even before filing a relevant patent in 1997, which eventually gained approval after stringent due diligence, our Projects Director had long been involved in researching and pondering the need for a fair college football playoff. After formal correspondence (reflecting important information detailed within the CollegePlayoffs.com site) was forwarded to the conference commissioners as well as to the NCAA in 1997, we have been incessantly saddened by the degree of indifference and outright disrespect from that collective group; especially since the BCS was started in 1998. We at CollegePlayoffs.combelieve our site is something special. It’s not a place of commerce, but a place where fans of college football (certainly including administrators and members of the media) can realize that, in fact, there ARE simplistic and efficient systems and solutions that enable a fair college football playoff. These solutions are easy to understand and easy to manage, beautiful and effective. To date, we have used a grassroots approach, and have not reached out for corporate monies or other infusions of capital. At present (2012), we are now opening up our organization to other individuals or organizations also bent on doing the right thing while making an effort towards their passion for college football.  As described within www.CollegePlayoffs.com, the quite influential environment of college football needs a postseason playoff format which is equally accessible to each and every participant; whereby any one of the I-A/FSB institutions has an equivalent opportunity to succeed ON THE FIELD. This specifically means that each team will have identical probabilities to reach a true national championship game from the start of the season, with clearly defined parameters that do not change during the season to meet the needs of the BCS or anyone else for that matter. Applicable solutions which empower such equal opportunity must be centered on FAIRNESS. The result of which is, in actuality, the absolute highest levels of competition. This highest level of competition can be realized in college football because there is always incentive for individual organizations to perform their best during all weeks of both the regular season as well as the postseason. Simply put, each and every team is inherently deserving of the right to an equal opportunity to play for a true championship AND share in applicable principal as well as performance-based revenues. Since our formal tour of 2000, the individual members of CollegePlayoffs.com quickly realized that the number of people presently in need within this country is transparently overwhelming. Thus, our initial goals of giving back to the student-athletes, the fans, and those people in need within their communities are more important than ever. We believe that once a fair playoff system is implemented (and most certainly not controlled in any way by anyone associated with the BCS), the proprietary solutions from CollegePlayoffs.com should command significant licensing fees – that is, a very large annual revenue stream – which, would completely and immediately be utilized for altruistic purposes. In other words, we are giving it all away … to a registered charity … simply because it is the right thing to do. What is the result? We have a fair playoff which benefits not only every institution but literally anyone concerned with college football; AND, we have the immediate capability to aid others in need – this is the definition of a win-win scenario. Now, why has there been a delay in the realization of a fair college football playoff? Sorry to be the bearer of bad news, but the answer is nothing more than a few ‘greedy and grumpy old men’. The BCS continually and emphatically states that the necessary logistics in implementing a college football playoff are too difficult; but they know otherwise – literally every message they promote are deliberate lies or some form of negative propaganda. For instance, the BCS says that the institutional Presidents do not want a playoff. First, of course the lower (non-BCS) institutional Presidents want a playoff due to the fact that their programs are effectively out of the national championship race even before the regular season begins. Furthermore, most of the other (BCS-related) institutional Presidents also desire a playoff so that the ridiculous debate known as the BCS would end and their own teams could participate in determining a true champion on the field as opposed to the boardroom. Meanwhile, please do not be discouraged as we will continue to do our best to make sure these greedy and grumpy old men are held accountable while we simultaneously initiate the most spectacular annual sporting event in the world. And what power do we have on our side other than our prominent intellectual property as deemed necessary by capitalistic requirements? Aside from a handful of greedy and grumpy old men, virtually everyone (99%) wants a playoff! Yes, your brother wants a playoff, the President of the U.S. wants a college football playoff, and the Presidents of the institutions want a playoff – everyone wants a playoff because there are no valid reasons not to have a college football playoff. And realize also, that this most spectacular annual sporting event in the world brings unparalleled amounts of money that were previously unfulfilled. Even a small percentage of such enormous monies will significantly help others in need. As one might guess, an unbiased ranking system must be at the heart of any fair college football playoff solution set. It is easy to understand why subjective (biased) ranking systems do not work; and it is also easy to demonstrate the maliciousness of the BCS with their own results, whereby many teams inappropriately advanced to postseason appointments while other more deserving teams were left out. As explained within CollegePlayoffs.com, our patented unbiased ranking methods can accommodate the most stringent sporting environments. There is the capability to utilize the traditional polls without compromising the integrity of the unbiased ranking results; or, seeds may be allotted simply via the gross points allocated by the unbiased rankings alone. Regardless, teams are ranked fairly based primarily on performance and strength of schedule. These proprietary ranking methods can and should be utilized every year within the college football environment. Furthermore, these ranking methods can be easily modified to accommodate the need for unbiased rankings in other sports as well. Although college football is considered by many to be THE ONE AND ONLY sport, we believe that other sporting venues have a similar need to rank their participants in an unbiased manner as well. If you would like an applicable donation receipt acknowledging your gift, please email the following information to mail@collegeplayoffs.com: organization or individual name, valid email, amount and date of donation, and present mailing address. If you are considering potential partnerships or advertising opportunities, please email your request to mail@collegeplayoffs.com. In effect, any problem can be solved with passion and effort and compassion. We at CollegePlayoffs.comknow that we must have YOUR SUPPORT in order to succeed: merci-gracias-mahalo-thank you.